Ashley is an aesthetic nurse practitioner who provides complete and holistic care to her patients. Each plan of care involves many years of educational and travel experiences allowing her to bring a vast understanding of various cultures and ethnicities to her daily care of patients. After graduating with an Associate’s Degree in Nursing, Ashley immediately began her career in a Medical Intensive Care Unit at the University of Pittsburgh Medical Center. 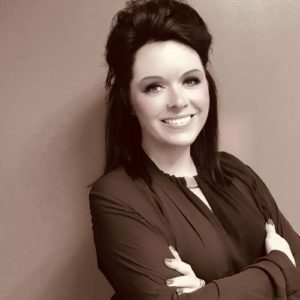 While moving up the ranks to Charge Nurse, Preceptor, and Specialties Educator, she also attended Slippery Rock University obtaining her Bachelor’s in Nursing, as well as her Certification in Critical Care Nursing. After years of working in urban ICU Units, she was chosen to assist in the opening of a newly built sister campus in the community. While in the midst of opening the new hospital, she pursued her Master’s in Nursing. She ultimately achieved her goal of Board Certified Family Nurse Practitioner through the American Academy of Nurse Practitioners. 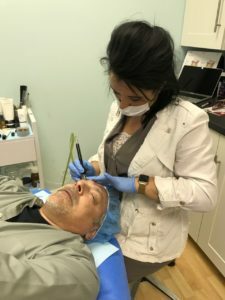 Continuing her passion for detail and perfection, she found herself in an easy transition to aesthetic medicine. She loves being able to use her professional and personal experiences to help patients become their best version, inside and out. As a team, Ashley and Kelly are committed to providing the best treatments available to their clients. They collaborate and have a unique manner in which they care for their clients. Schedule a consultation and begin an individualized plan to rejuvenate your skin and your self!